During 2010-11, we started offering customized Teacher Orientation and Teacher Empowerment programs at Schools. We were not happy with one or two days of Adhoc Training programs. We wanted to offer something more meaningful and add value to individuals and at the same time to the Institution and children. That has led us to dive deep into understanding the challenges Schools face in hiring and retaining Teachers. 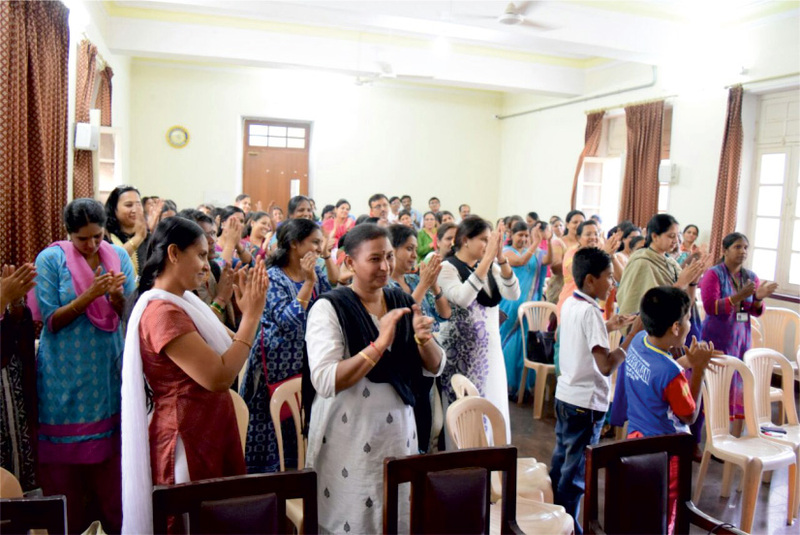 When we did a survey, the outcome was that Schools were looking for Quality Teachers, Committed Teachers who are passionate in teaching and most importantly Skilled Teachers who can communicate and understand children better, connect with them and thus become effective in their teaching methodology. 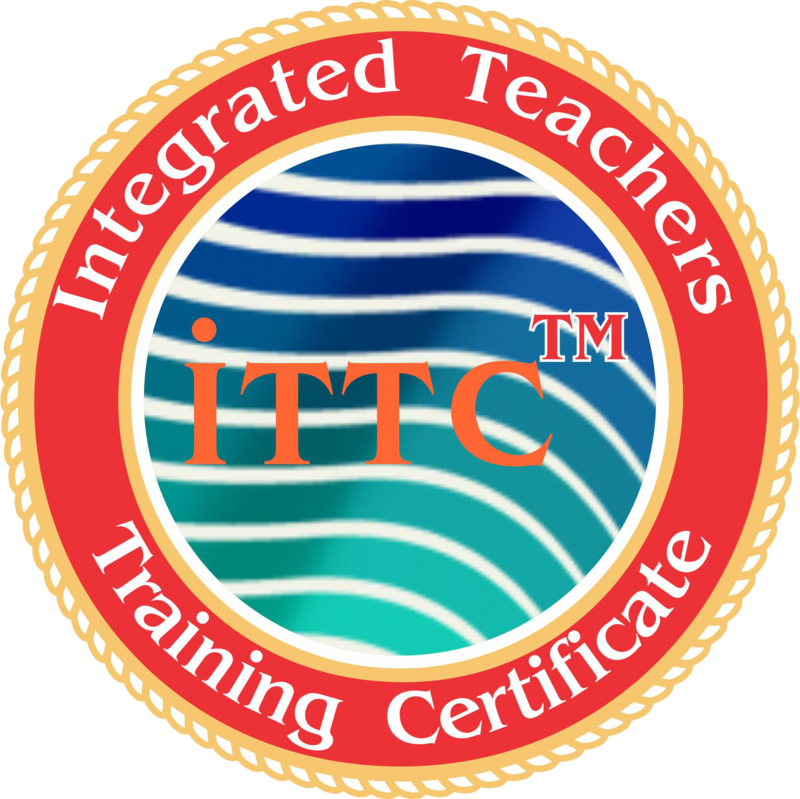 Our purpose is to help people unleash their true potential through life transforming ITTC program and inspire them to be Great Teachers. We thank you for your feedback and look forward to service you even better.. I want to thank you for helping me reach my potential. Your encouragement and constant motivation has pushed me further. Thank you for inspiring me, you both have helped me to improve my professional skills. TRAIN THE TRAINER - was an incredible program which added lot of values, it is a perfect program for those who have desire to be a trainer. You and Ma'am are amazing trainers who can bring the transformation in every individual. Prof. Y P Rao Sir's session was an add on, blessed to have such an experienced person as part of TRAIN THE TRAINER. Am so grateful that I had the opportunity to take up this program, am sure this will help me to move ahead in my career. Both of you have influenced my life for the better. ITTC program has completely transformed me into a professional teacher. Each and every class was so interesting and the way Nalina ma'am delivered the topics was outstanding and I was able to connect well with the topics. At the end of the program I felt very confident about how I should handle classes. Nalina ma'am is my Guru, She is always approachable and ready to help me at any time. She is truly AWESOME!!! Am happy I have landed at the right place and associated with great Gurus like Nalina ma'am and VM sir. It was my dream since eight years to do this course and finally completed. I am so proud to call u as my teachers. Wherever I may go in my life, I will always remember you. You are the best I have ever met in my life. 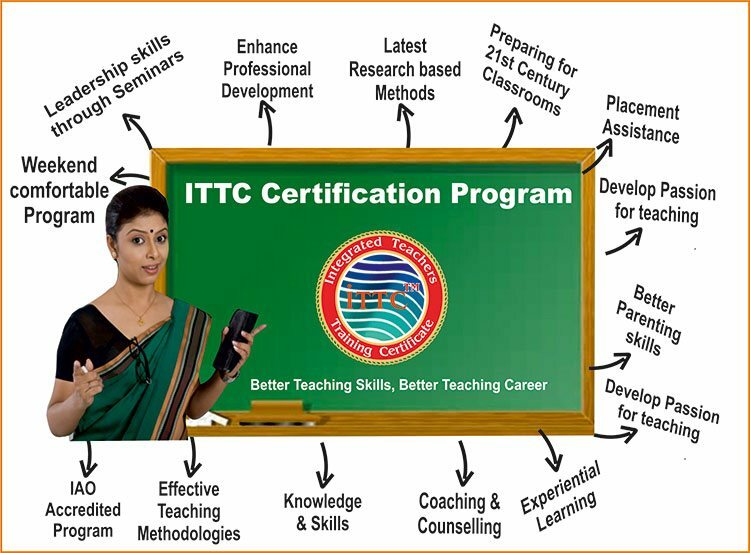 ITTC is not only a program that is designed for the teachers but anyone who seek guidance in relation to a child. My experience here was one of the best days where I not only enjoyed myself but also learnt many aspects of a child. I also learnt more about myself. This is truly like a life skills class. I would strongly recommend it to anyone who wants to learn about children. M’am when I joined your class, I remember, first day I came with a blank face, confused and without any goals..Now I feel I can face every challenge, confusion and last but not the least, honestly felt worth learning a lot from you and this course.. This course has given me a lot more than I expected...and needed it somewhere to enhance my hidden and lost confidence! Sir you are doing a superb job for upcoming generation and young Indians, we teachers and children.. I have been awarded with "The Best Teacher Award for the year 2014-2015" by my school-New Beginnings Pre-school for Excellence.. I want to thank you all for making this happen to me. Without your guidance and training, this would not have been possible. Your training has really helped me getting this award. Last but not the least I would like to say that "you are the best because you brought out the best in us". The PFLA Team have designed the ITTC Programme very brilliantly. 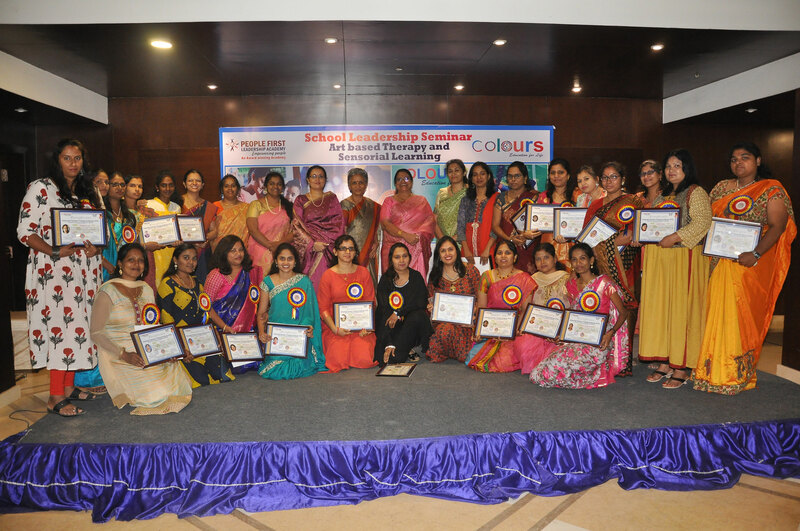 The sessions are very practical, creative and oriented to make us better Teachers. 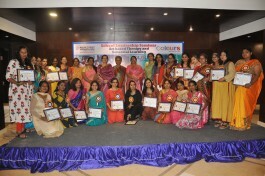 I am finding different dimensions of teaching profession after going through PFLA-ITTC Programme. My Perception and Attitude towards people, perceiving things are completely changed fruitfully after attending the “Integrated Teachers Training Certificate Program” (ITTC) offered by People First Leadership Academy. I would like to testify my experiences with ITTC for my last course period. First of all this opportunity made me to come out of my shell. At the outset, I have to confess that the whole credit goes to Nalina Mam. 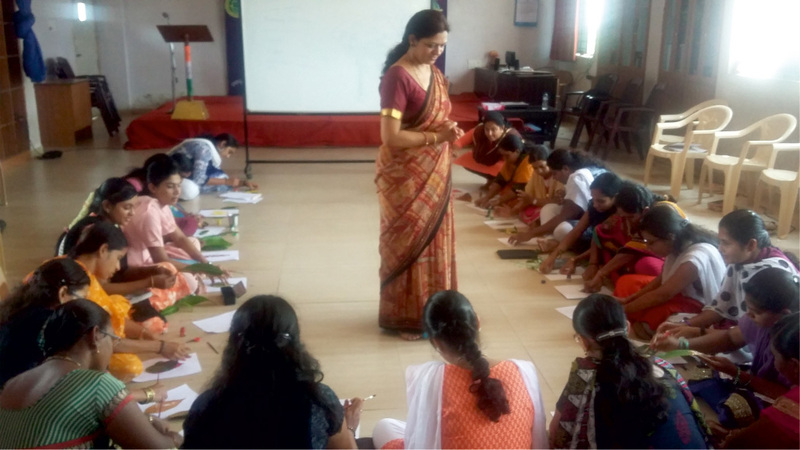 The classes were systematically planned to initiate a proper attitudes to be a teacher. 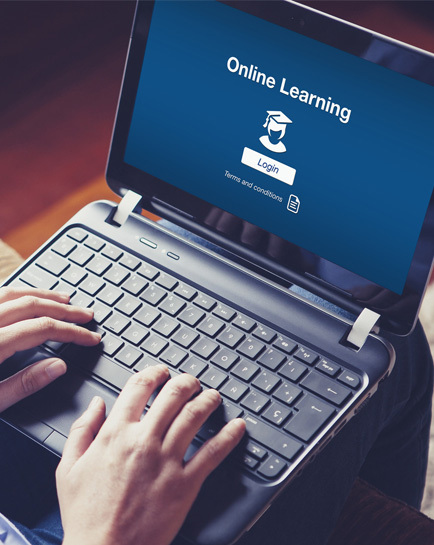 PFLA believes that academic brilliance alone does not guarantee success in today’s highly competitive and fast paced world. With Academic achievements, SKILL DEVELOPMENT is an absolute must to be employable, be competitive and succeed in Life. Our purpose is to help people unleash their true potential through life transforming Personal Excellence Programs and motivate them to be successful in School, College and Life. PFLA is an Award Winning (Future of India Award for Business Excellence Achievement under Quality in Leadership Excellence) Academy. 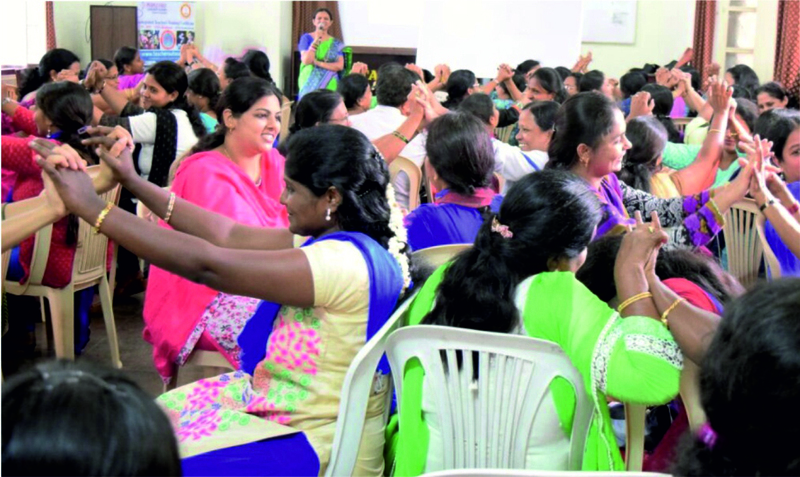 We have trained and coached over 35000 people that include young Students at Schools, Colleges and Business Schools, Corporate and Government Employees, Teaching community. Have you ever wondered why some young people seem to have an extra edge? Why some of them, with what seems like half the effort, still manage to come out tops? Why some people seem so confident, well adjusted and communicate with Clarity? Our research reveals one key factor; there are people who have conditioned themselves to constantly look for 'The Winning Edge' - that slight edge which distinguishes winners. No Fear, No failure – take it as feedback, change strategy and continue to work for a desired RESULT! We meet with our clients to understand their needs first. Once we understand, we mutually agree a plan action. 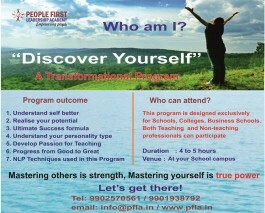 People First Leadership Academy (PFLA), has been founded with a mission to EMPOWER PEOPLE. We are a team of professionals who are passionate in helping People achieve excellence in Life.